In the cold moonlight fading silently? Now, but the owl's lone haunt, and fox's lair. Ah, of these glories what doth now remain? The charnel of yon desecrated fane! 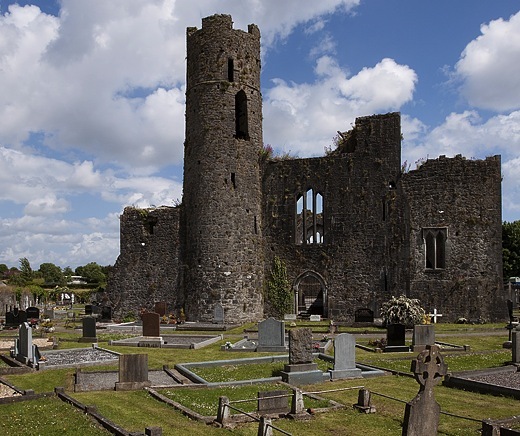 Kilmallock's "desecrated fane" is the ruin of the monastic church founded in the 7th century. Kilmallock was an important town in Ireland during the Middle Ages. by Mike Searle, licensed under creative commons.